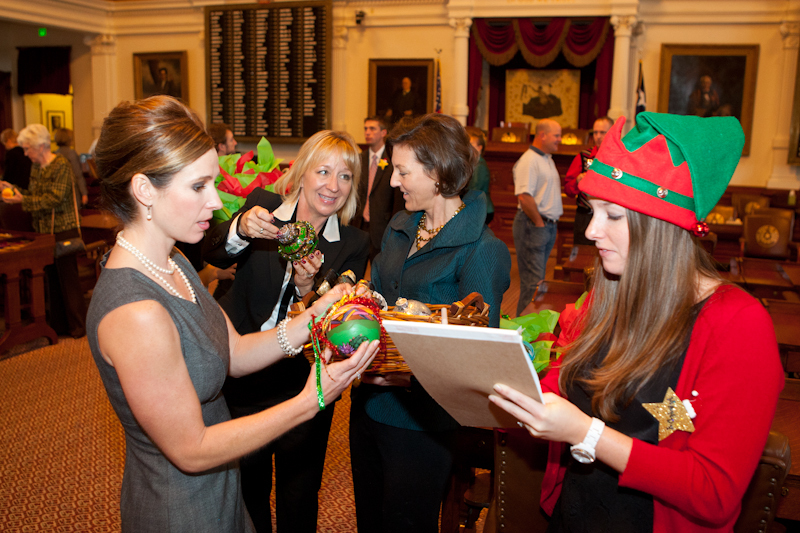 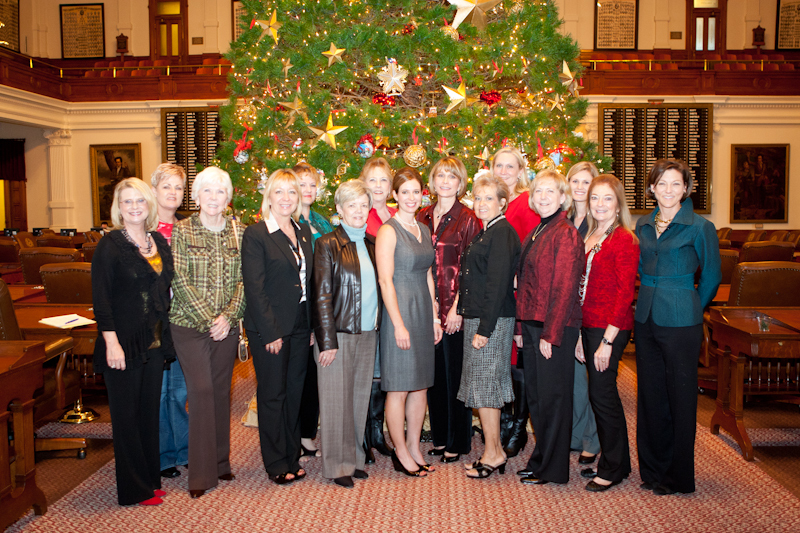 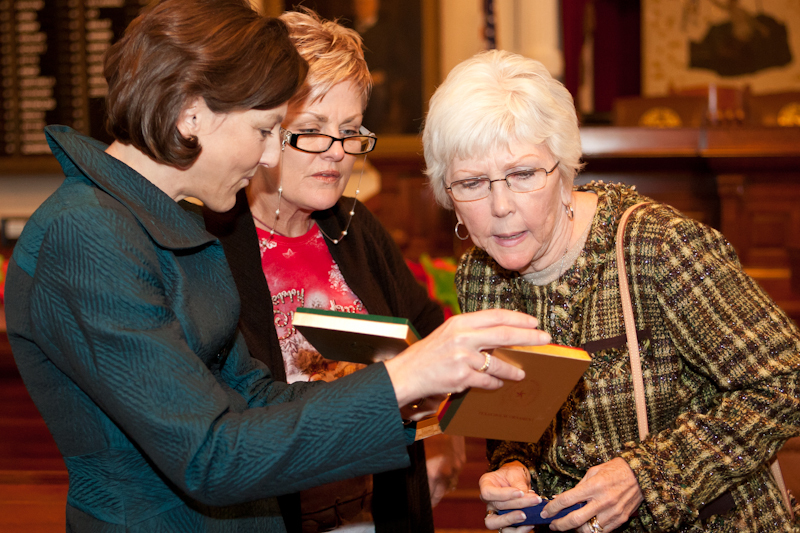 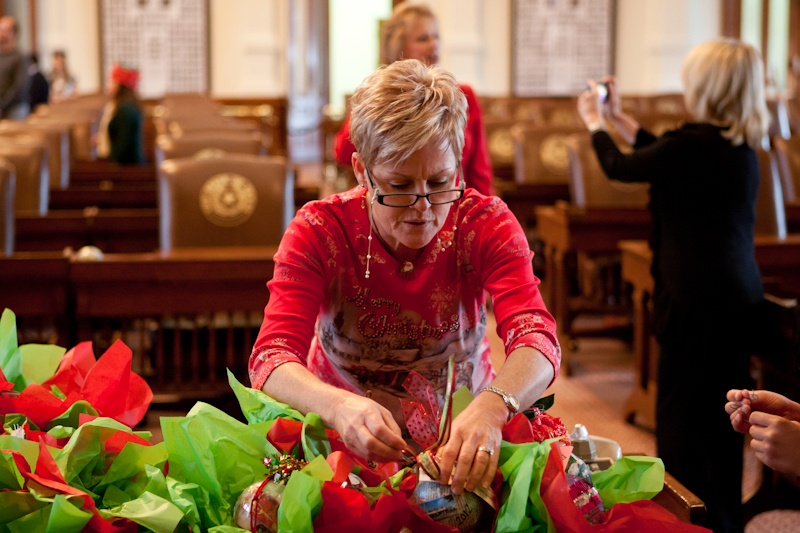 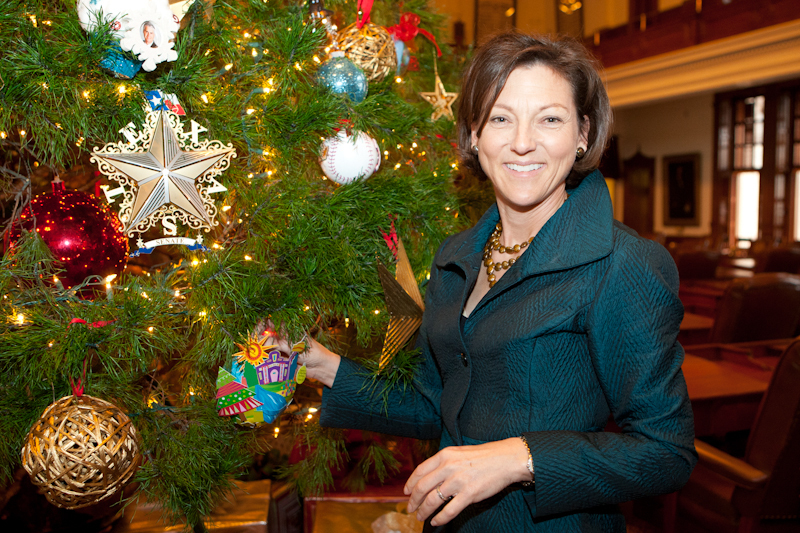 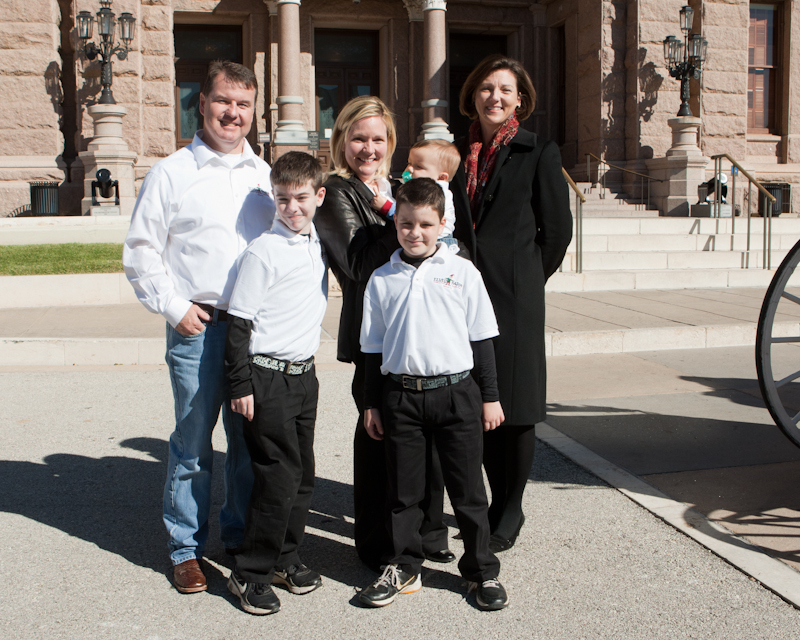 Marshall Cathey, President of the Texas Christmas Tree Growers Association (TCTGA), was given a holiday welcome to the Capitol on Nov. 28 by Julie Straus (wife of House Speaker Joe Straus), Patsy Spaw (Secretary of the Texas Senate) and Texas Secretary of State Hope Andrade as he and his family delivered the official 2011 Capitol Christmas trees to the south steps of the Texas State Capitol on Nov. 28. 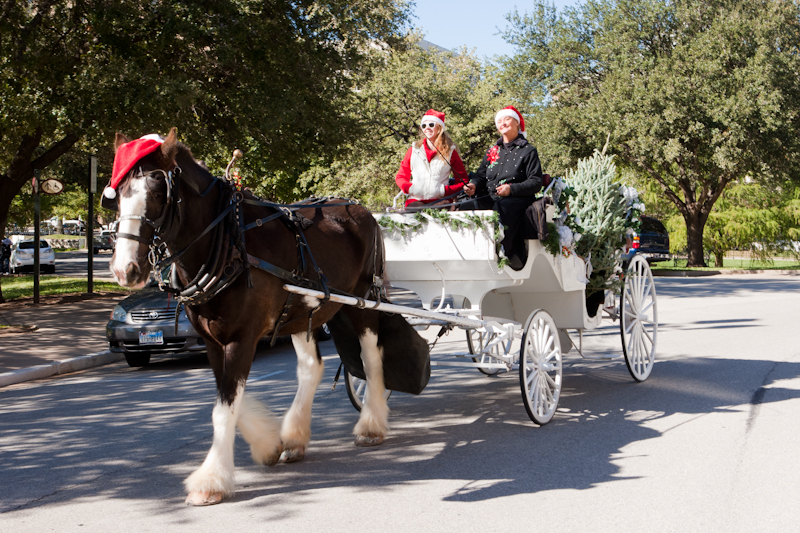 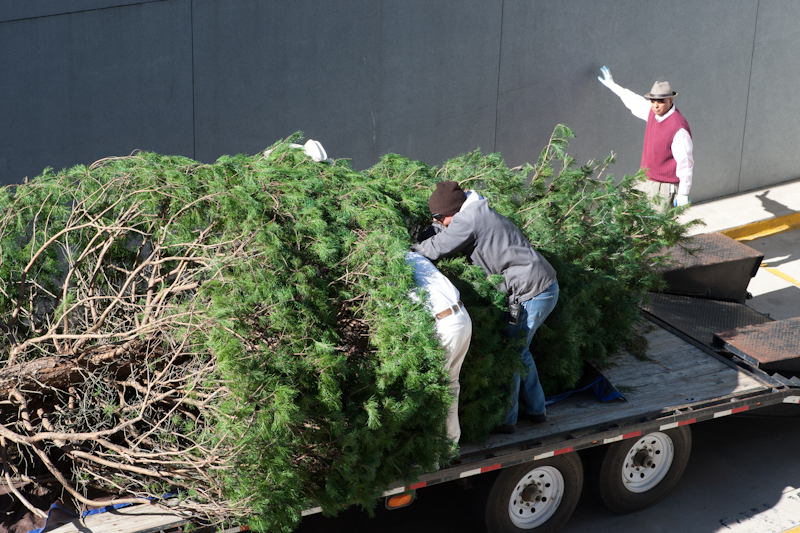 Marshall and Sharlote Cathey, owners of the Elves Farm in Denison, delivered three 7-foot Fraser Firs via horse drawn carriage to the south steps. 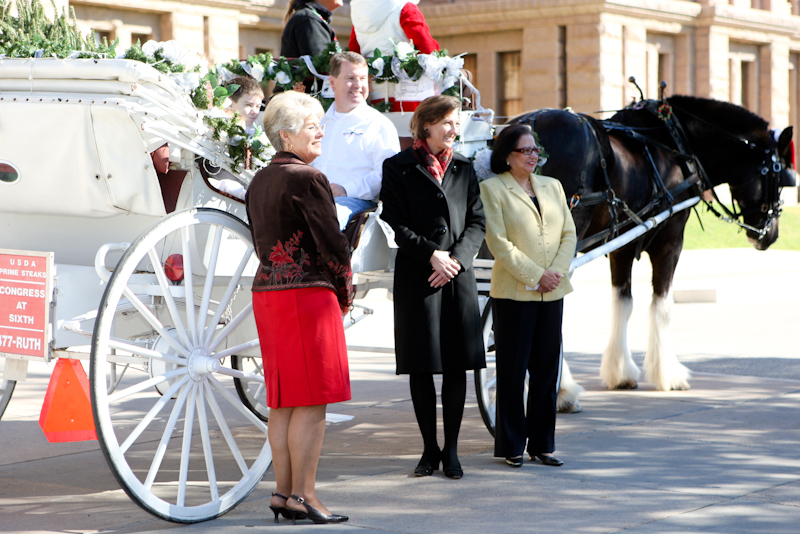 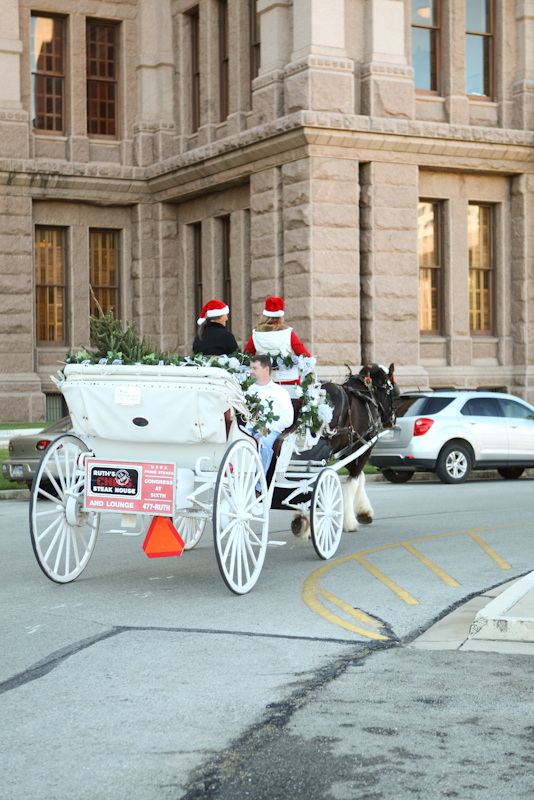 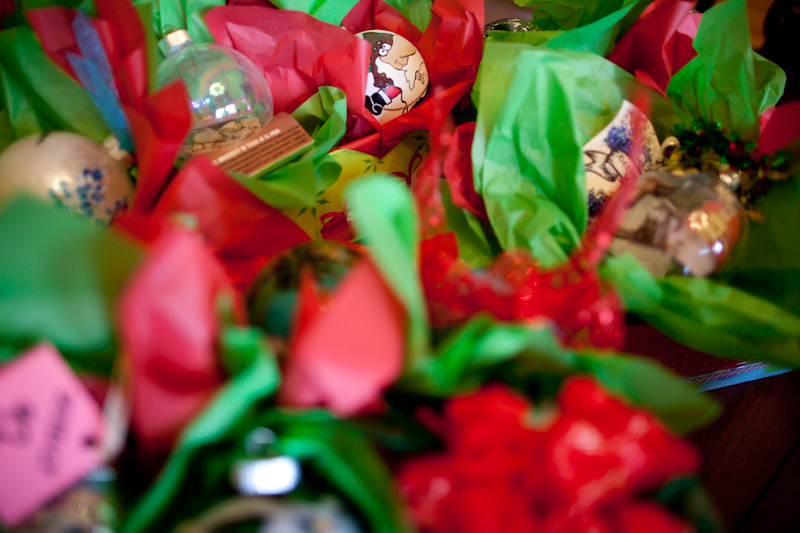 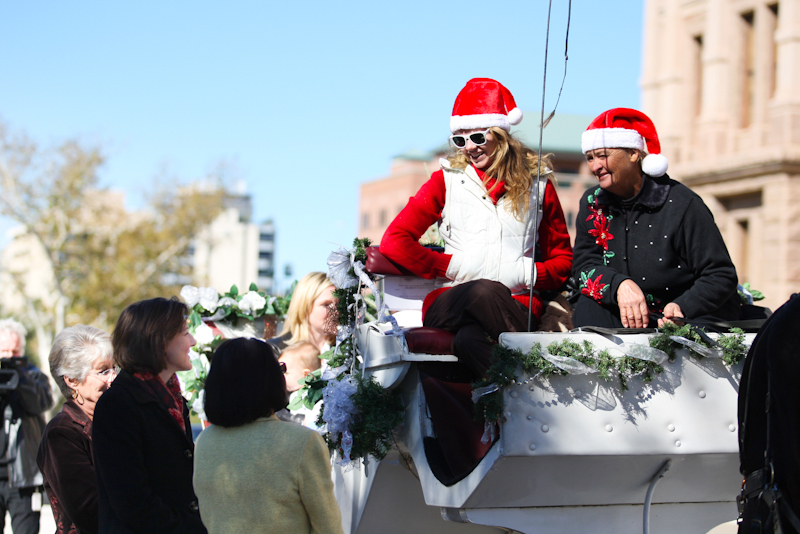 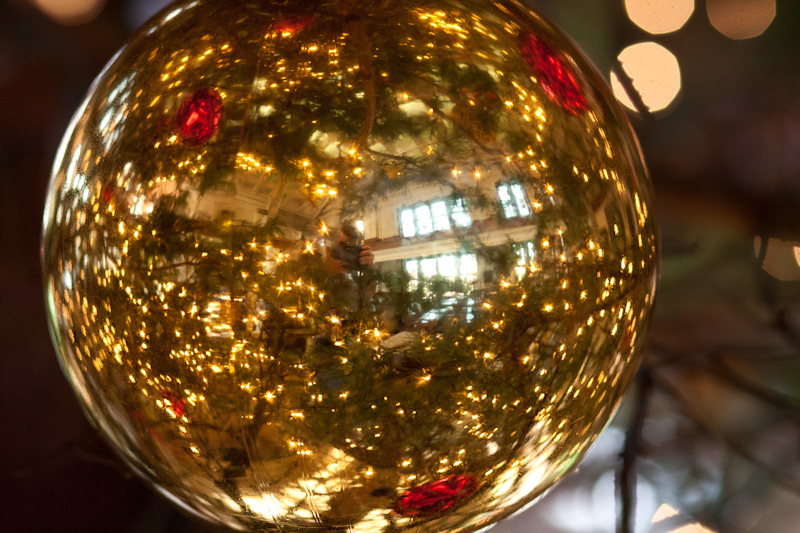 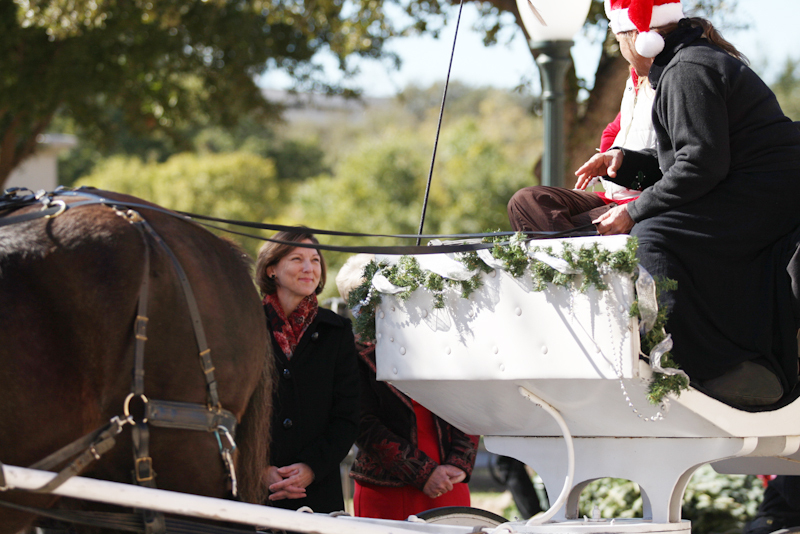 The carriage was provided by Elaine Glass at Die Gelbe Rose Carriage; the trees were then delivered to the House, Senate and Office of the Governor. 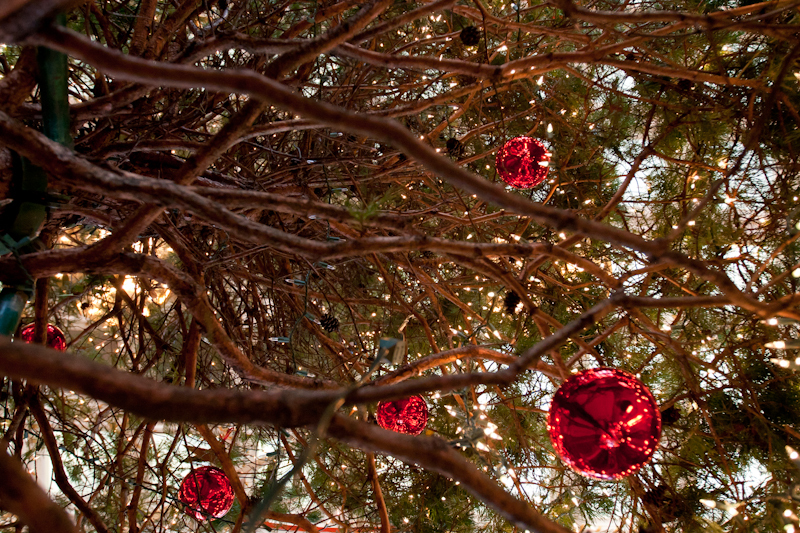 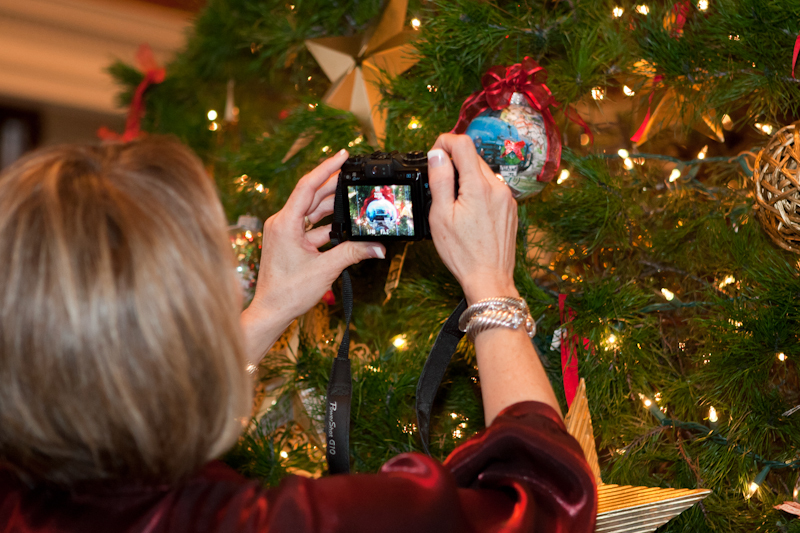 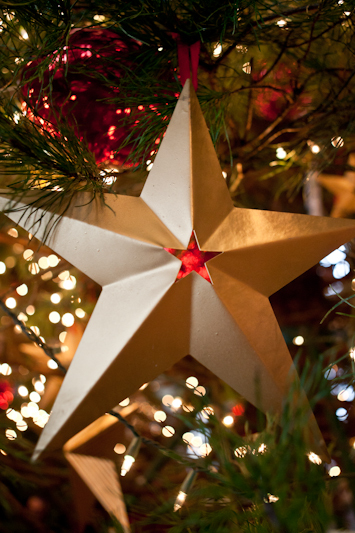 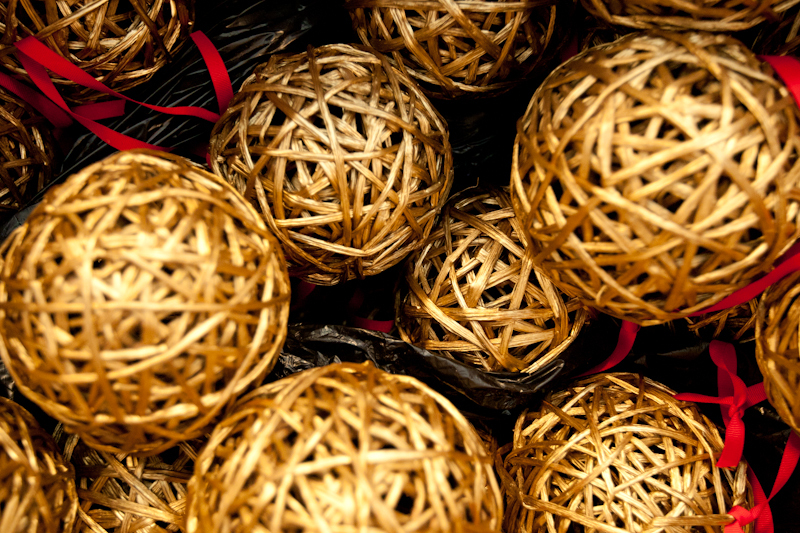 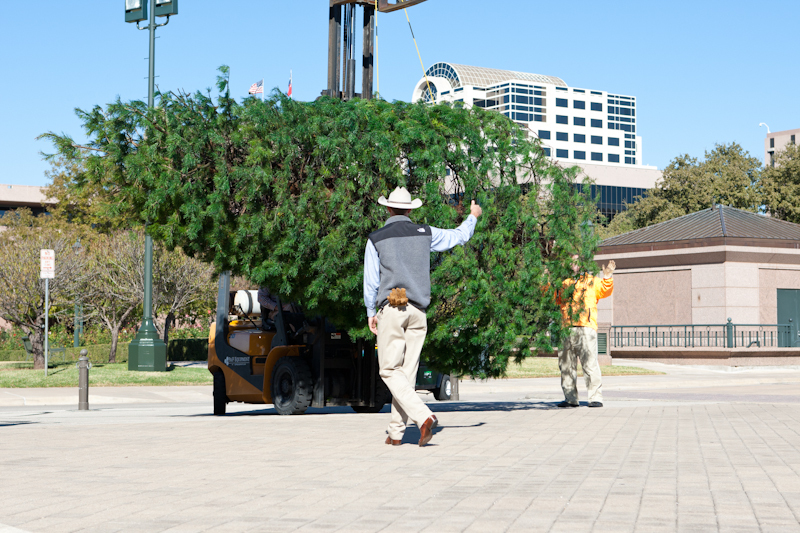 The House tree from Elves Farm will be used as the Holiday Wishes tree again this year. 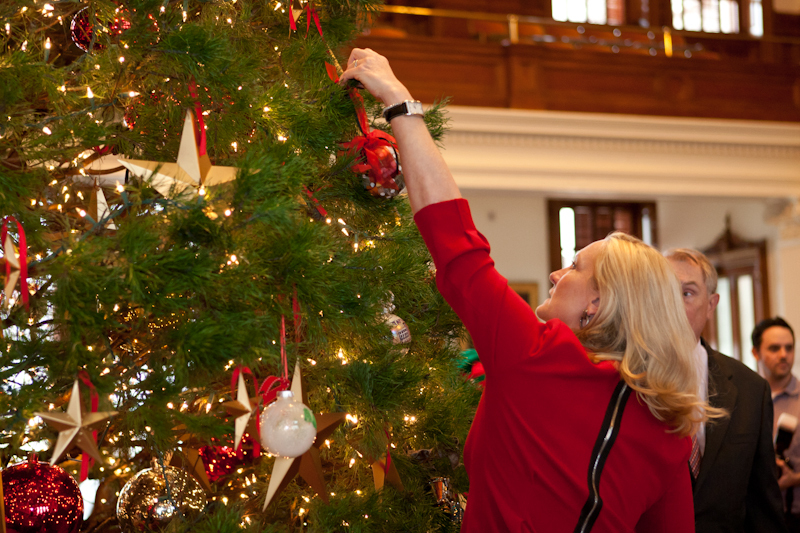 The Texas House of Representatives joins with the Partnerships for Children program to help our Capitol community respond with exceeding generosity, donating gifts to meet the Holiday Wishes for Austin-area children in the foster care system. 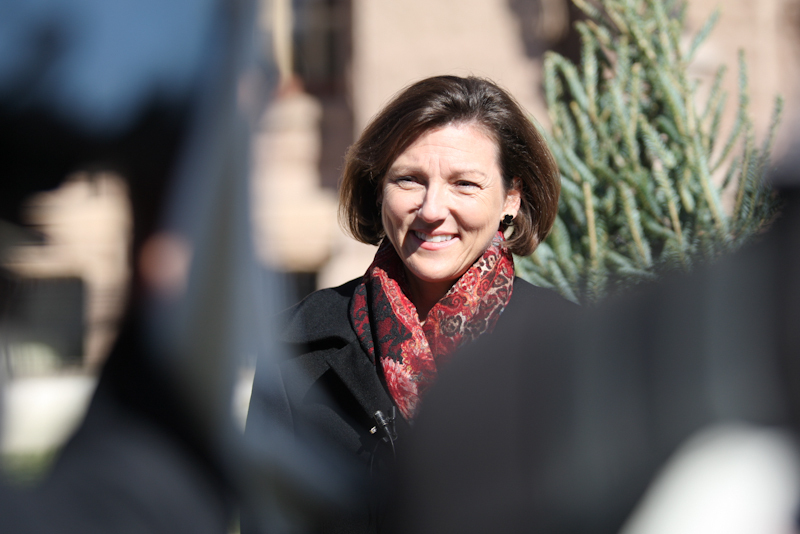 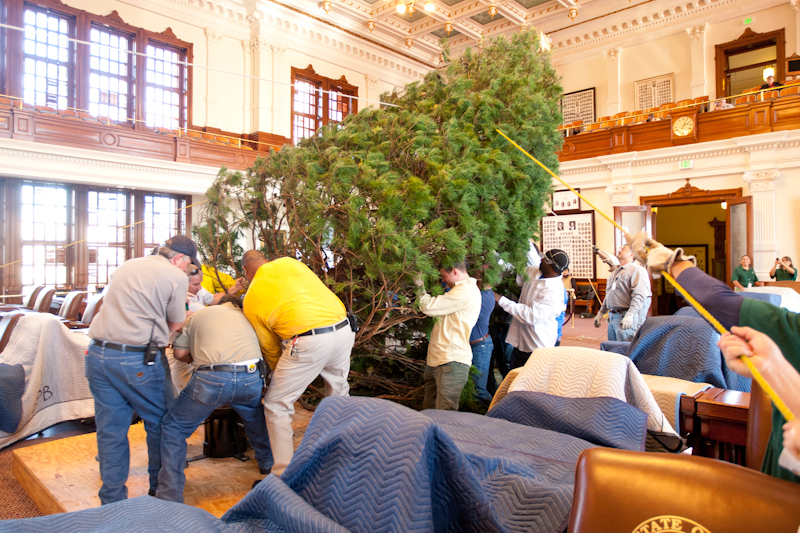 Mike Walterscheidt of TCTGA also delivered trees to the Capitol from Elgin, including a pair of 10/12-foot Fraser Firs for the House and Senate to be placed in the back hall behind the House and Senate Chambers. 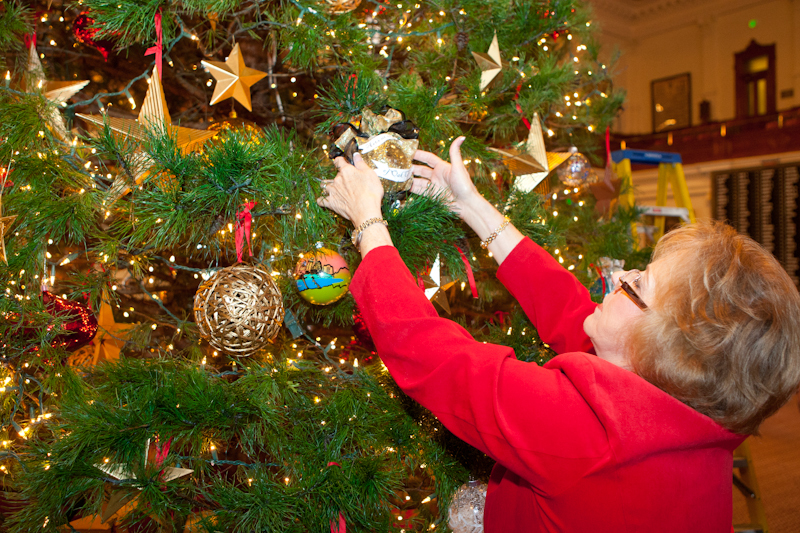 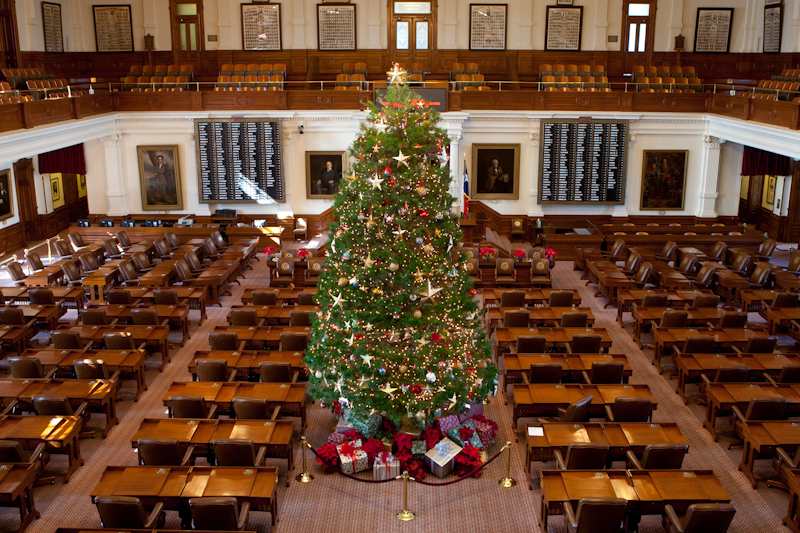 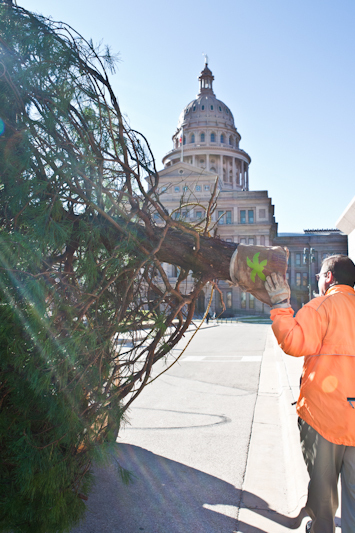 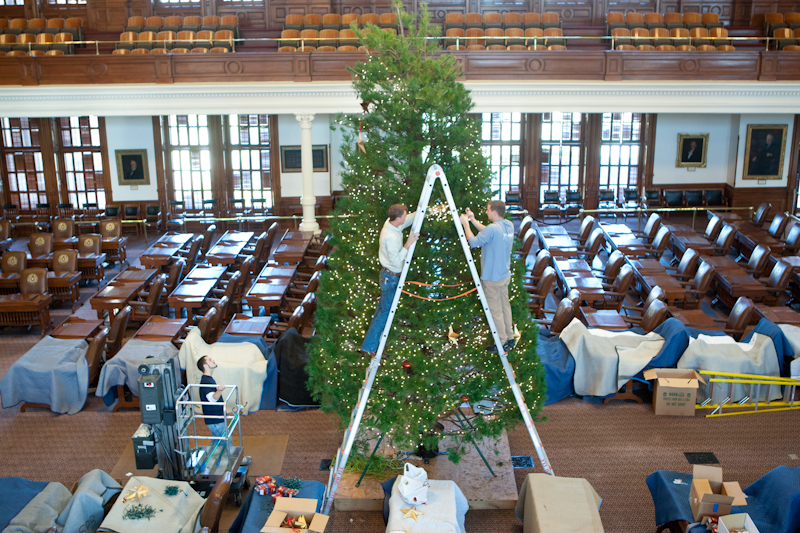 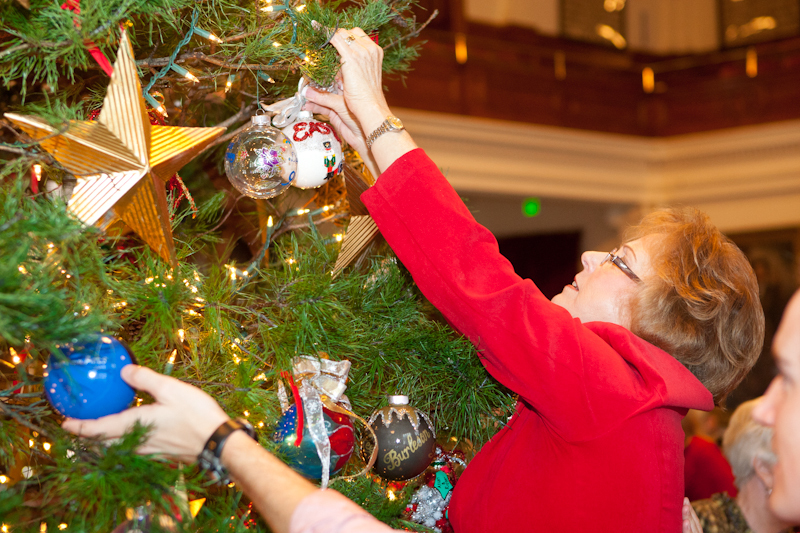 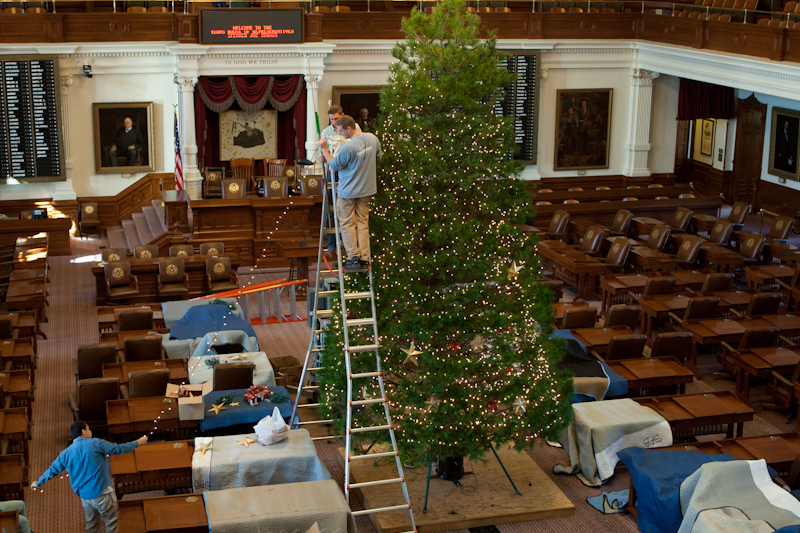 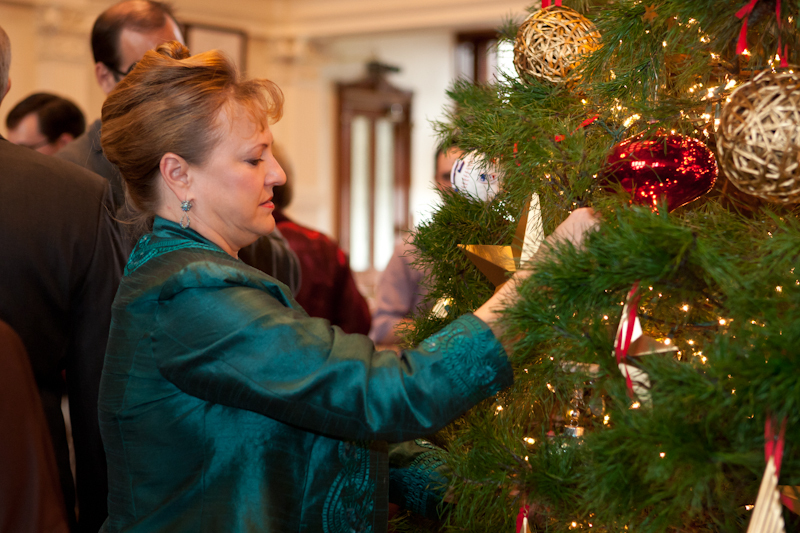 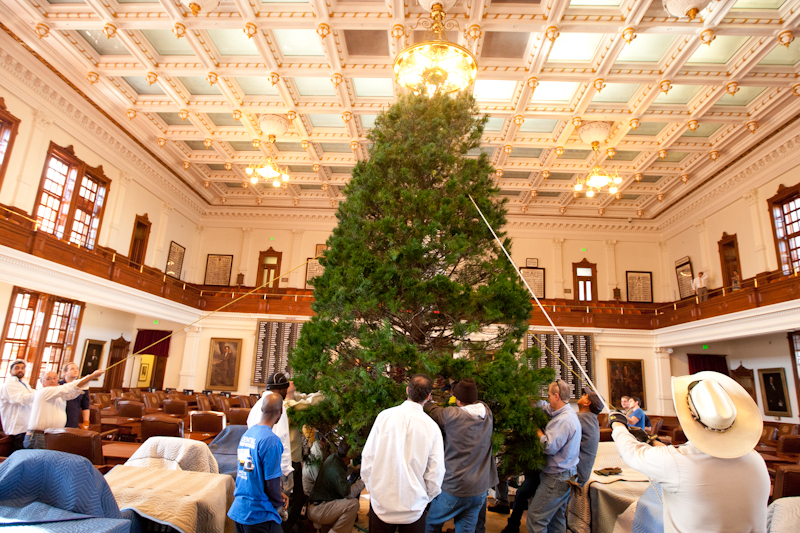 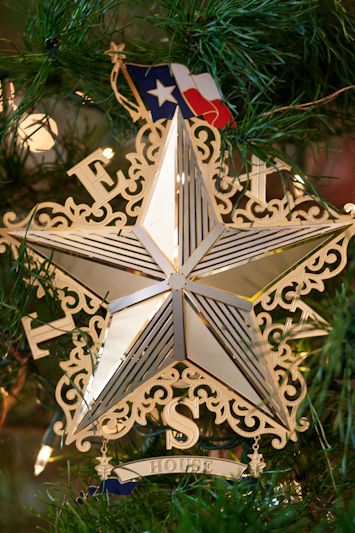 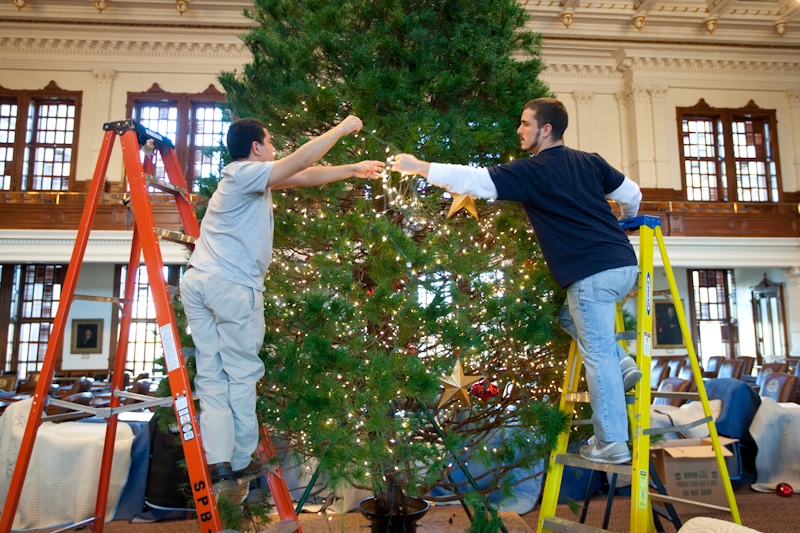 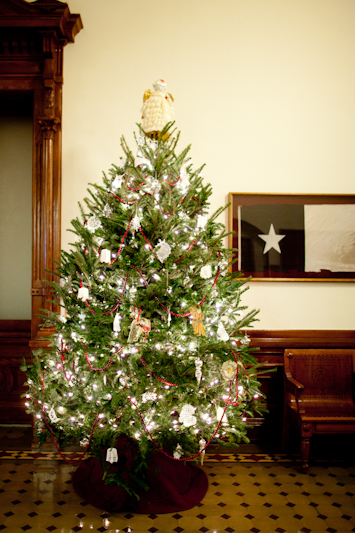 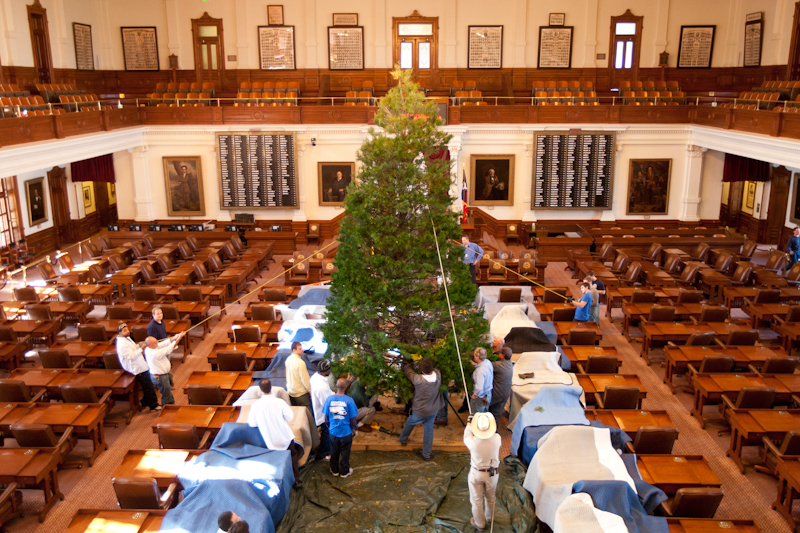 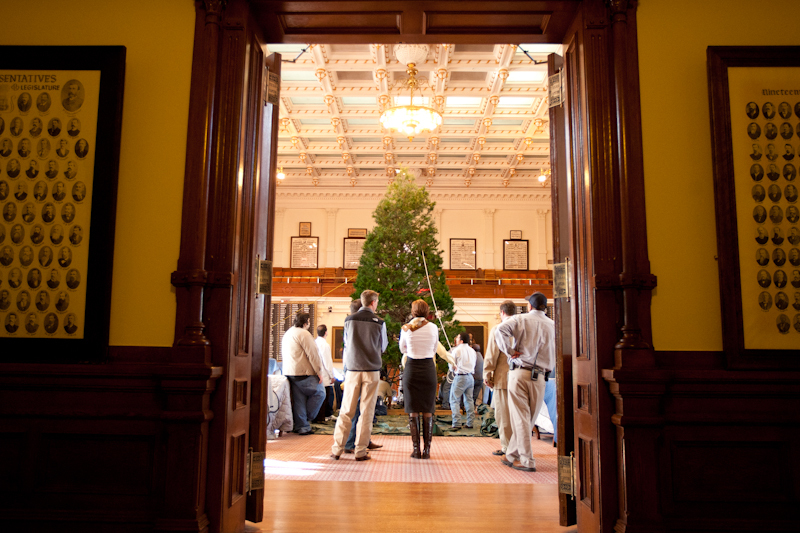 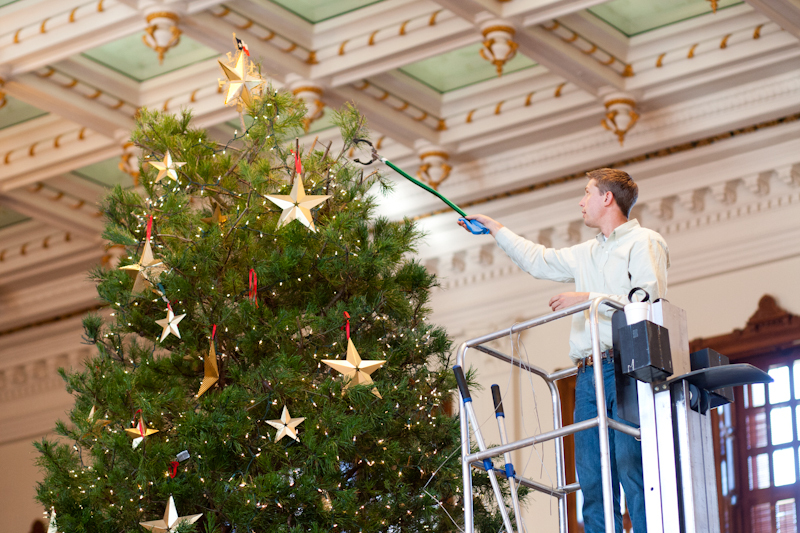 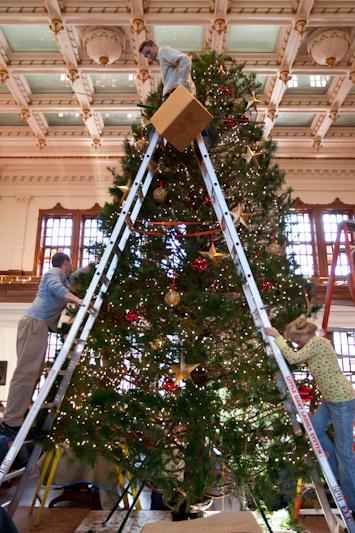 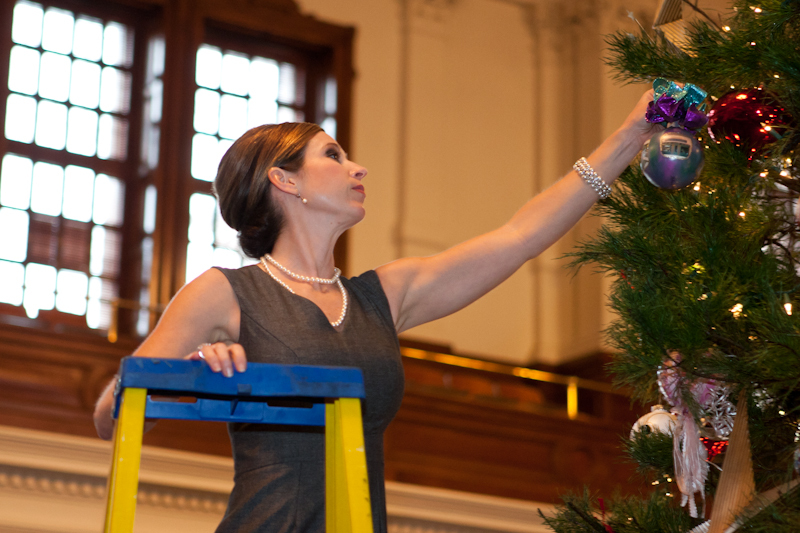 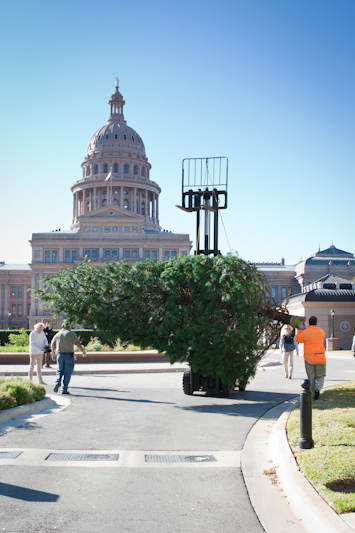 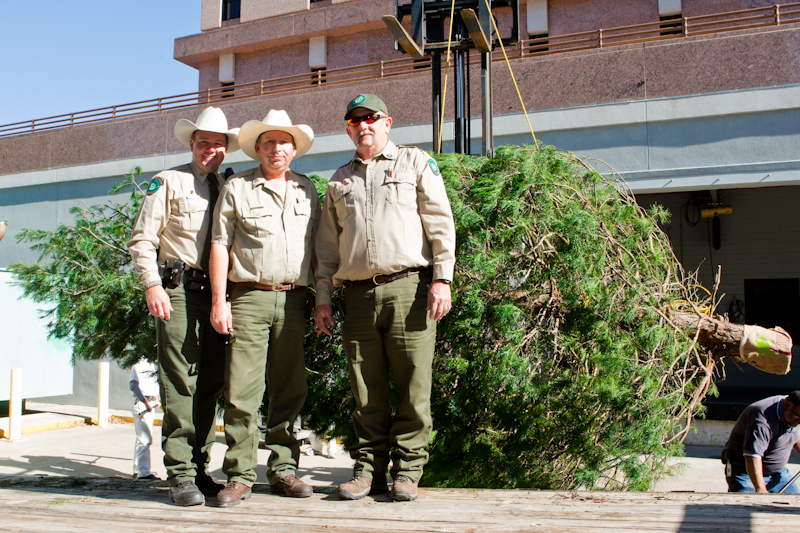 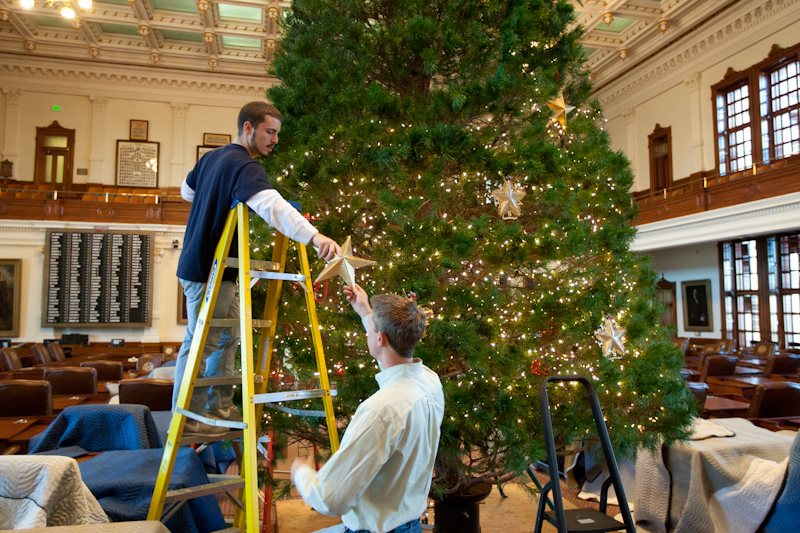 Marshall Cathey additionally supplied a 20-foot Virginia Pine from Elves Farm for the House Chamber that was delivered with assistance from the Texas Parks and Wildlife Department and the State Preservation Board.